When is the last time we asked ourselves this question: What is the purpose of life? Maybe we’ve never asked it—-although we wouldn’t begin a task or a trip, consider a movie or read a book, without asking what those things were about. Our life is the most personal and important thing we possess. Shouldn’t we wonder about why we have it? Why are we, each one of us individually, here on Earth? There has to be some reason for our being here, some meaning to our existence. Maybe you’ll say it just happened; some fluke of nature that caused a very particular ME. Except, in itself, nature is orderly. Things that happen in nature are purposeful. A bee flies to a flower to pollinate it and to make honey. Trees produce oxygen so that animals can breathe. The Earth has an ozone layer to protect it from UV light. Even hurricanes have a purpose, the same purpose as winter storms, they vent off heat from the lower levels of the atmosphere. Each segment of nature is programed to accomplish a purpose. As human beings, we have a purpose, too. I would suggest that our purpose is to love, in the fullest sense of the word. The wrinkle is, though our purpose is ‘intended,’ we do have a choice in whether we carry it out. We can choose to love, or not. Those of you who’ve read my novel, A Hunger in the Heart, know it’s about a hunger for love. Each main character strives for love. Often, they don’t put a label on it, but nonetheless the urge to have it is within them, pricking at their hearts. It doesn’t matter if you haven’t read the novel. You know the characters. Maybe you even live, or have lived, with people like them. You may have been the child of an alcoholic mother whose attention you desperately needed, but didn’t get. Or you may be that mother, a woman who at her core, wants to love, but uses an addiction to get through great sorrow and disappointment in her life. You may know the father who loves enough to fight in a war that forever changes him and the lives of those around him. Or a family patriarch who uses his position to manipulate the ones in his care. You may have been unfortunate enough to see and experience evil in a person so shallow that he would defame goodness itself just to satisfy his own desires. Or you may know the personification of integrity in a man who has suffered, but still loves; or in a girl whose presence alone communicates hope. Yes, our purpose in life is to love. 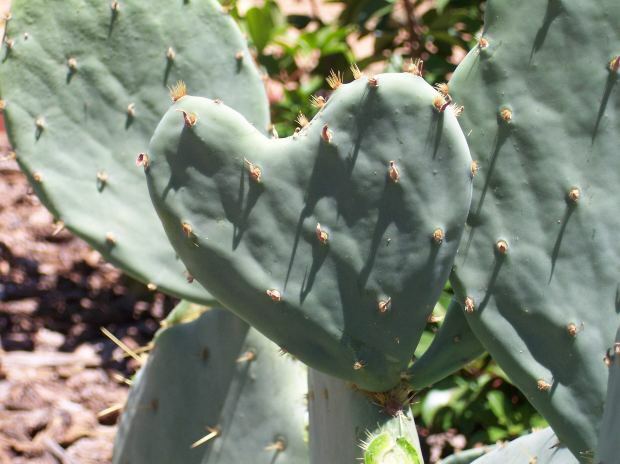 And love can be prickly as a cactus. It can hurt. It is painful to be vulnerable, to allow ourselves to suffer for another. After all, we might be crucified for it. But the bee on a flower might be swatted to death. The tree producing oxygen might be cut down. The ozone layer and the hurricane might be impeded by climate conditions. No matter, their purpose remains; it is not changed. So even if we live in a world that is often unloving, even if we must go through suffering to love another; our purpose as human beings is not changed. It remains. The reason we are here, the reason we exist, is to love. Are there times when you’ve chosen to suffer for the love of another?